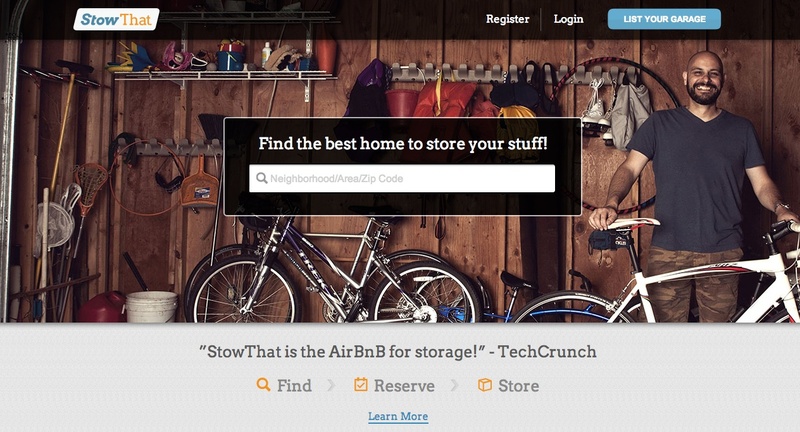 StowThat, the winner of our Seattle Meetup pitch-off last month, is an Airbnb for self-storage. 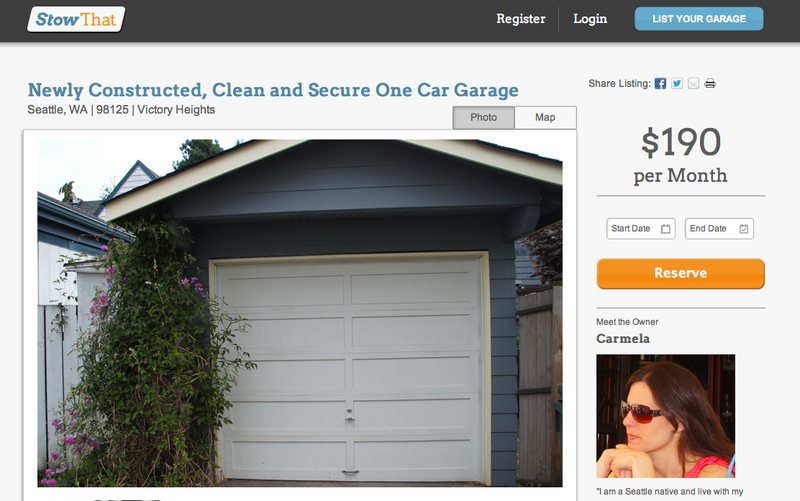 The self-funded service, which is launching in and around Seattle today, allows its users to rent out their garages, attics, storage sheds and other spaces for your storage needs. The self-storage industry in the U.S., where we seem to have a penchant for buying more stuff than our houses can hold, generated more than $22 billion in annual revenue last year, so there is a huge opportunity here for StowThat. As StowThat co-founder and CEO Joe Mele told me, he expects that many homeowners may want to rent out their garages to generate a little bit of extra income. The company is also homing in on rental property owners, given that they are probably already comfortable with renting out their homes. For the most part, StowThat focuses on garages, but it also allows property owners to rent out any other part of their homes. The sign-up process lets you specify the size of your space and suggests pricing based on its square footage. The service obviously just launched, so the inventory is still low and ranges from small one-car garages for $180 per month to a three-car garage for $450 in Seattle. Listing a garage is free. Mele rightly stressed that the main challenge for StowThat will be to add enough inventory to balance supply and demand. To get its approach right, the team has decided to use its hometown of Seattle and the surrounding Puget Sound area to test its service and marketing strategies. After a couple of unfortunate incidents, Airbnb now obviously offers insurance for home owners. The StowThat team tells me it also looking into this, but so far, it has stumped most insurance agencies because this is a new concept for them and they don’t know how to price it. StowThat’s Terms and Conditions enforce a comprehensive set of rules, though, to ensure that property owners take care of the things you leave in their garages and that its users don’t disturb the owners to retrieve their prized Darth Vader figurine in the middle of the night. Owners can set their own times for when property access is available and are expected not to enter the storage area. It’s worth noting that StowThat does seem to have some competition. Spacefinity, the winner of Startup Weekend Pittsburgh, recently launched a similar service, though it, too, only covers a very limited area right now (Pittsburgh, in this case). Storage Wars, anyone?